Bill Sears knows engineering is primarily a technical business. That is why when he reflects on his induction into the Hall of Distinction, Mr. Sears regards the honor as recognition that he took the fundamental technical training he received at the University of Kentucky and maximized it over the course of his career – a career spanning 40 years in oil and gas exploration and production and characterized by an uncompromised concern for safety. 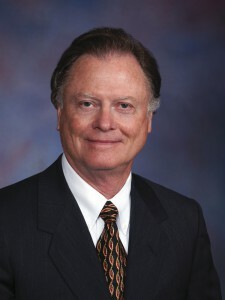 Mr. Sears majored in civil engineering, graduating with a bachelor’s degree in 1956. He began his impeccable career at Exxon shortly thereafter, but served as a 1st Lieutenant in the United States Air Force from 1957 – 1960. After returning from service, Mr. Sears worked as an engineer in the refinery until 1962 when he transferred to Exxon’s upstream business (E&P) as a senior engineer responsible for deep water offshore platform design. In a relatively short time Mr. Sears designed a seafloor connection that was subsequently patented. Later that year, Mr. Sears became an Exxon senior drilling engineer. While designing wells and troubleshooting drilling problems that arose, he began to develop a reputation for integrity, efficient operations and outstanding safety – reflected in two Compass Bank National Safety Awards for safe operations. From 1966-1974, Mr. Sears continued to bring value to Exxon and rise through their ranks. From district reservoir engineer to operations superintendent where he inspected over 100 offshore platforms and evaluated safety performance, Mr. Sears demonstrated a high capacity for advancing Exxon’s oil exploration plans. He became offshore district manager in 1972 and division manager in 1977 and his organizations sported the best safety in the company. In 1983, British Petroleum (BP) recognized Mr. Sears’ experience in deep water offshore drilling, as well as oil and gas exploration and production, and hired him to help build an oil business in the Gulf of Mexico. Starting from scratch, Mr. Sears spent the next 12 years building what is today the largest oil and gas producer in the Gulf. From 1994 until his retirement from BP in 1997, Mr. Sears served as director of operations, with responsibility for BP’s worldwide upstream activity. It was a fitting culmination of a 40 year career in the oil business. Mr. Sears then joined the board of directors for Noble Corporation and served on it for ten years, which included an interim period as chairman and CEO. He retired in 2008. Spindletop International, which he considers one of his most satisfying achievements. He has also been active in the Methodist Church, United Way and the Jaycees. Mr. Sears lives in Montgomery, Texas, with his wife Guiann. They have four daughters, Belinda, Sheryl, Karen and Laura, eight grandchildren and seven great-grandchildren.